Google typically phases the previous generation Nexus out whenever a new model comes to replace it, but the Nexus 6 is a partially massive device that leaves plenty of reasons to prefer 2013's smaller option. Unfortunately, the device has faded in and out of stock since its successor arrived, leaving folks to hunt on eBay and elsewhere. But now the Nexus 5 is back in the Play Store in both 16GB and 32GB. 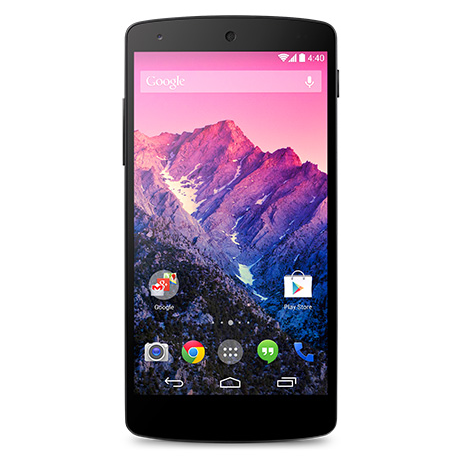 Note, the Nexus 5 is only available in black. Google took down the white and red versions in early December, and it wouldn't be safe to hold your breath waiting for them to come back. The prices remain the same as before: $349.99 for 16GB and $399.99 for 32GB. Units should ship out in 1 - 2 business days.